Schalke's Weston McKennie (r.) is getting used to battling out with the best the Bundesliga has to offer. 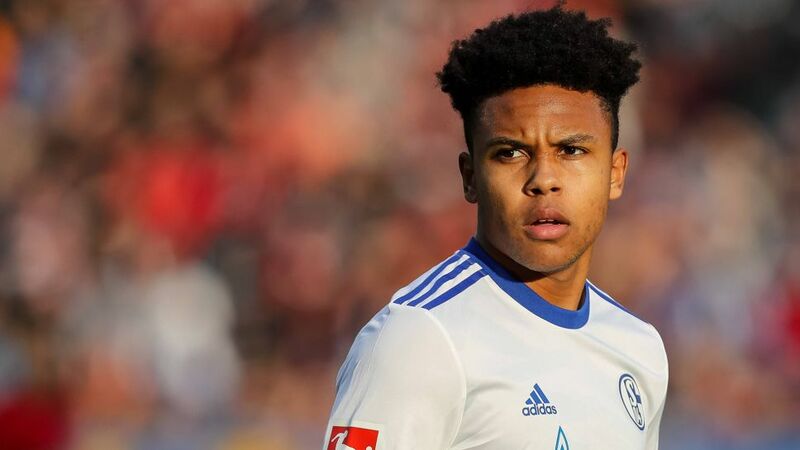 After surprising many with the rate at which his career has developed at Schalke, American midfielder Weston McKennie wants to take the next step by impressing for his country after his first call-up. While his longtime friend, Borussia Dortmund star Christian Pulisic, has been rested for the USA's meeting with Portugal, the two will face off at the end of the month in the Revierderby. "I would be very happy about being considered for this squad," McKennie told kicker prior to his first senior international call-up. "Due to us missing the World Cup it makes sense to give a few things a refresh. Maybe I will benefit from it," he added. He certainly has. The Texas native, who first came to Germany as a child, has played for the Under-17, U-19 and U-20 teams of the United States, but when acting US head coach Dave Sarachan announced his squad on Tuesday, McKennie was among the names for the first time, the youngster's dominant midfield displays for Schalke against Wolfsburg on Matchday 10, and then against Freiburg this past weekend, clearly influencing Sarachan's selection. Despite his American roots, and what that brings in terms of sporting interest, McKennie was quickly drawn to the game played with your feet as a child after his first visit to Germany. His father was a member of the US Army and was given the option to be stationed in Alaska or Germany; choosing Europe over the cold climate of the USA's 49th State. McKennie says he saw kids kicking a ball on the street for the very first time in his life shortly after they arrived, and from then on was hooked. Another of the 19-year-old's inspirations, which came later in his footballing life, is Pulisic. The Dortmund star has shown the way for American youngsters hoping to cross the pond to Europe and beyond. Having returned to America, earning his keep in the youth ranks with FC Dallas, Schalke came calling for McKennie, and he couldn’t turn down the chance to pick up the Pulisic trail. The best buds have yet to play on the same pitch in the Bundesliga, but that could be about to change, with Schalke travelling to Dortmund to contest what could be something of a star-spangled Revierderby on 25 November.